Departure times and duration might be flexible, to meet your schedule, depending on reservations and weather. We prefer to fill our afternoon trip first, but also have morning and evening options. We supply gear, just dress warmly (yes, even in August!). BOOK NOW. there are ways to save money for advanced reservations through the website. Email or call for details..
Pay in US dollars and SAVE (at fair exchange). Call 1.877.654.2341 or email for details. *Please note, MOST Zodiac tours are 2- 2.5 hours and some of ours are too, but typically 2.5(+) AND we have a schedule that permits 3 - 3.5 hours IF whales are far away or we find them late in the tour. The shorter tours allow them to schedule more trips/day, but also might have to limit whale-viewing opportunities or not find/get to them because of said tight schedule. Senior and students are 10% off adult rate. 9+, or exclusive...call for info. environmental education locally and internationally. 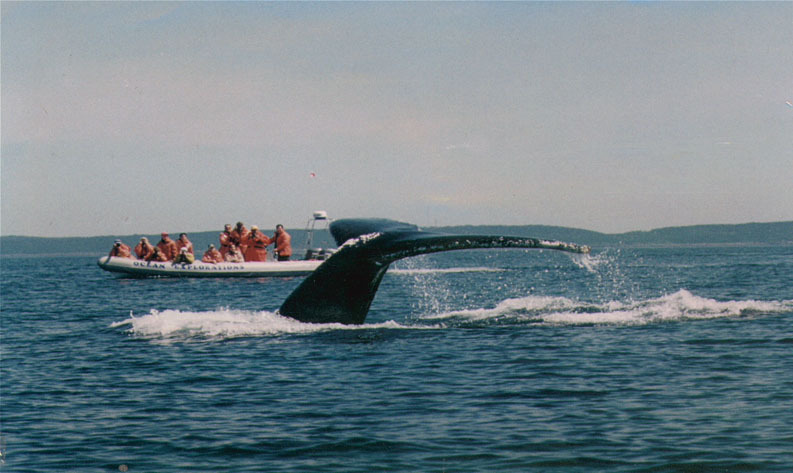 * Sometimes environmental choices cost more, such as the decision to use (twin) 4-stroke outboards to reduce oil pollution and noise for the whales (and guests). We have also added solar and wind power to Gallery by-the-Sea. 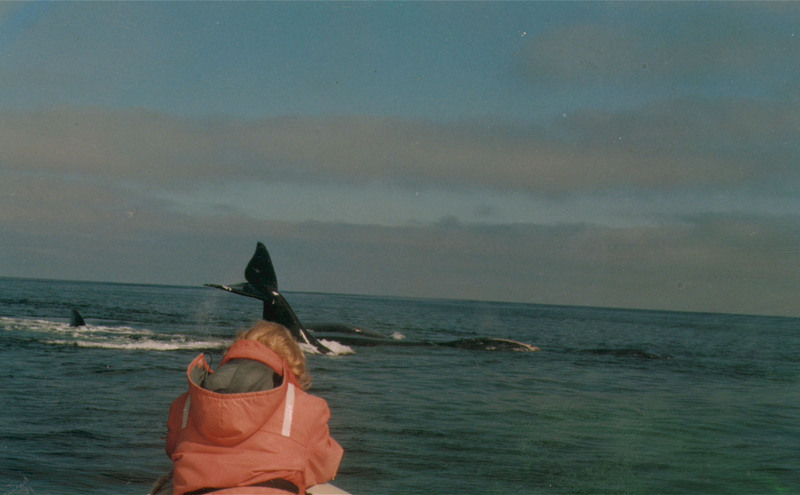 Going out on "the Zodiac™" and seeing the Right Whales mating was a highlight of our trip.... Thanks for the Great Hospitality! Zodiac™ is a registered trademark of Zodiac International and refers to a brand of inflatable boat.